The Australian Open, owned and run by Golf Australia, is the oldest and most prestigious golf tournament on the PGA Tour of Australasia. The Open was first played in 1904 and takes place toward the end of each year. The winner of the tournament receives the Stonehaven Cup, presented by Lord Stonehaven, the Governor-General of Australia from 1925 to 1930. It was first presented in 1930. The prize money is considered modest when compared to tournaments on the PGA Tour and the European Tour, however the Australian Open's position is one of the traditional golf powers. Winners between the mid-1950s to the late 1980s included many of the most distinguished international golfers, such as Jack Nicklaus, Arnold Palmer and Gary Player. The Australian Open is the "flagship tournament" of the PGA Tour of Australasia, having a special status in the Official World Golf Ranking's points system. This status awards a minimum 32 points to the winner regardless of the strength of the field. The tournament was part of the OneAsia Tour from 2009 to 2016. Since the Open Qualifying Series was introduced for the 2014 Open Championship, the Australian Open has been the first of a number of qualifying tournaments, giving up to three non-exempt players entry into the Open Championship. 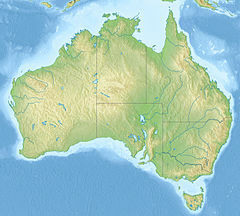 The Australian Golf Union was formed in 1898 and from 1899 organised a championship meeting. From 1899 to 1902 this included the Australian Amateur championship contested over 72 holes of stroke play. In 1903 the format we revised, there being a 36-hole stroke-play stage after which the leading 8 played match-play with a 36-hole final. In 1904 the format was revised again, a 72-hole stroke-play open event with the leading 16 amateurs then competing for the amateur championship. The Open championship was won by an English amateur, Michael Scott, with a score of 315. Two more amateurs Leslie Penfold Hyland and Dan Soutar finished second and third, while Carnegie Clark was the leading professional, tied for fourth place. In recent years American Jordan Spieth has dominated the event winning twice (2014, 2016) and finishing runner-up once (2015). England's Lee Westwood and Northern Ireland's Rory McIlroy are the only European golfers to have won the tournament. In 2016 Spieth won the playoff with a birdie at the first extra hole. In 2008 Clark won the playoff with a par at the first extra hole. In 1997 Westwood won the playoff with a par at the fourth extra hole. In 1990 Morse won the playoff with a par at the first extra hole. In 1972 Thomson won the 18-hole playoff 68 to 74. In 1964 Nicklaus won the 18-hole playoff 67 to 70. In 1948 Pickworth won the 18-hole playoff 71 to 74. As of the 2016 event, the following golfers have won the Australian Open more than once. ^ "The Stonehaven Cup" (PDF). Golf Australia. Retrieved 15 November 2018. ^ "Golf - Interstate Open Championship". The Argus (Melbourne) (18, 141). Victoria, Australia. 5 September 1904. p. 7. Retrieved 13 November 2018 – via National Library of Australia. This page was last edited on 19 November 2018, at 19:16 (UTC).